← Ndorfina. Shop and let endorphins in. 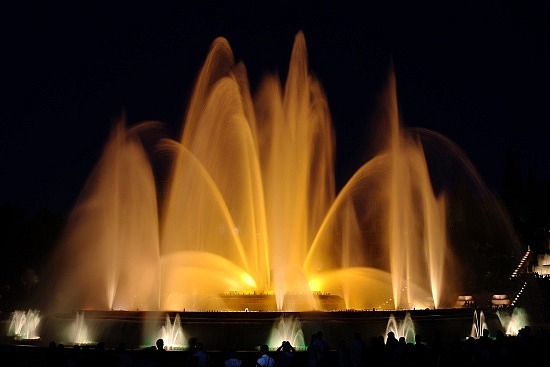 If you have been doing some planning for your trip to Barcelona, you have in all probability chalked out a visit to the Montjuïc park and the magical fountain that it hosts. Indeed, the fountain offers a spectacular treat to the eye with its majestic colors, brilliant lights and beautiful water acrobatics, synchronized to the music playing in the background. 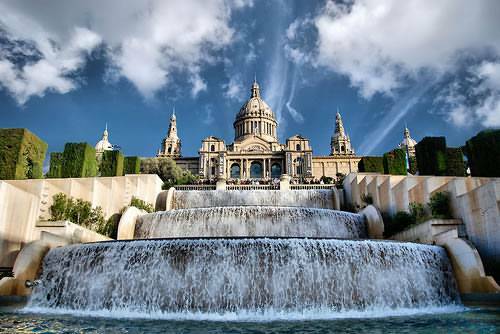 While the fountain is a must-see, Montjuïc, which is a hill located in the center of Barcelona, has many stunning sights that are rarely explored by tourists. 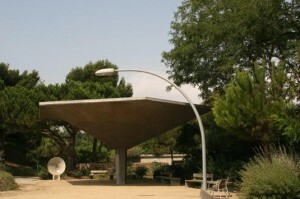 Read on to know why it is worth sparing an entire day of your trip to lose yourself in the tranquil spots of Montjuïc. Sitting on the very top of the Montjuïc mountain is the imposing Castell de Montjuïc. This is the oldest sight of Montjuïc that was built over the remains of a fortress in 1640. 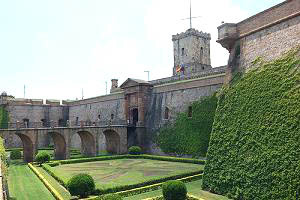 Originally built as a fort of defense for Barcelona, it ended up becoming a military prison for many years before it was finally handed over to the city in 1940. The castle takes you back to the typical 18th century architecture and offers an amazing view of the Barcelona harbor. The castle can be reached by taking the Funicular de Montjuïc train from Metro stop ´Parallel´ (L3 & L2) and then taking the cable car that transports you to the top of the hill. If you prefer to walk, you can also hike up the winding roads that lead to the castle. Montjuïc also makes for a fun and adventurous, yet slightly challenging, bike ride. Another one of Montjuïc´s rich propositions is its string of museums, each one equally as fantastic as the last. The most famous of them all, The National Art Museum of Catalonia is situated at Palau Nacional and contains carvings, wooden paintings, sculptures and a vast collection of Romanesque murals. Museo Etnológico de Barcelona specializes in Catalan culture with an emphasis on the culture of the city. It also has numerous works of art displaying cultural nuances from Salamanca, Japan, Morocco, Ethiopia, and Australia amongst others. The Poble Espanyol houses an open air museum which displays streets, squares and buildings with different architectural styles. The Archeology Museum of Catalonia and the Fundació de Joan Miró museum of modern art are also worth visiting. Perhaps the biggest joy of Montjuïc is its many parks and gardens. It gives you the perfect chance to escape the hustle and bustle of the city and enjoy the amazing greenery and sights of the city´s skyline. For example, the Joan Brossa Gardens are a great place for both kids and adults. They have a play area for children and some innovative spots made entirely of natural elements such as magical spring cushions, tunnel telephones and see-saw wind organs. If you are coming to Barcelona and would like to spend a day visiting Montjuïc, renting a city centre Barcelona apartment would be a fantastic option as it allows you to spend little time on travelling to the mountain, as well as being near to the main tourist attractions. You might also find that a beach apartment in Barcelona is a welcoming alternative as you can choose to stay in many sea views apartments in Barcelona, only a short trip by metro and cable car to Montjuïc. This entry was posted in Activities, Places and tagged areas in barcelona, barcelona, Barcelona accommodation, montjuic, museums in Barcelona. Bookmark the permalink.